This week, the German Tax Authorities opened cases on 1,100 suspected tax evaders thanks to information purchased from a “hacker”. As reported on BusinessWeek and other sites, the hacker offered a CD of information of German nationals with “secret” Swiss bank accounts managed by Credit Suisse to the German authorities, who quickly snapped it up, apparently for the price of 2.5 million euros. 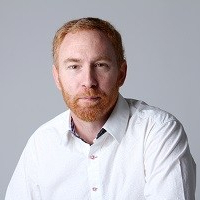 Formally the Chief Technology Officer for Intel Secure Home Gateways, CTO for McAfee Enterprise Endpoint, CTO McAfee Innovation team, and Founder/CTO SafeBoot Corp. Simon has been designing, implementing and speaking about data security since 1996. You can read my full Bio. AutoDomain Endpoint Encryption Deployment Script for "SafeBoot"
VBScript Classes part 1. Why? Buying or selling a smarthome? Watch out for amnesia! Realtors define “smart home” – but there’s a catch. How could Apple help bypass an iPhone Pin? One more thing you don’t want to know about bitlocker..
Smart Home or Dumb Home/Smart Cloud? Speaking at Mobility Live 2015 on the 28th Oct.